Meanwhile, the popularity of wake surfing and other tow sports has prompted the arrival of new wave-shaping propulsion systems created through boat and engine manufacturer partnerships. 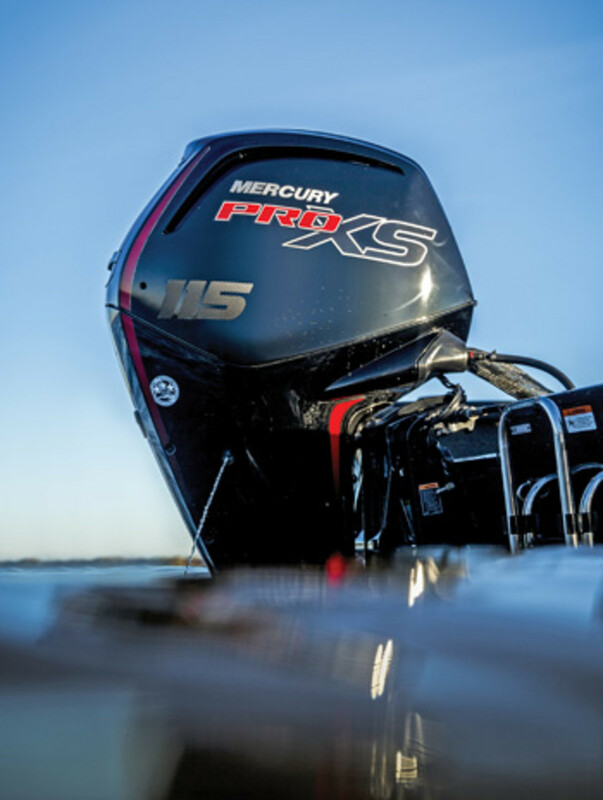 Mercury announced that its Joystick Piloting technology can now be used in applications with inboard power. Sea Ray uses the Mercury joystick on its new 230-W SLX, an inboard boat built with a new system consisting of trim tabs, fins and ballast tanks that controls the wake. Chaparral also has a wake-surfing line, but it uses Volvo Penta’s Forward Drive and Malibu’s wake-surf system. Volvo Penta at this year’s Miami International Boat Show introduced the last of its next-generation gasoline sterndrives (380- and 430-hp models). The Swedish engine manufacturer in mid-2016 also introduced a joystick system specifically for inboard boats, along with another diesel and accompanying IPS pod drive. Here’s a closer look at what the major engine manufacturers have been up to. 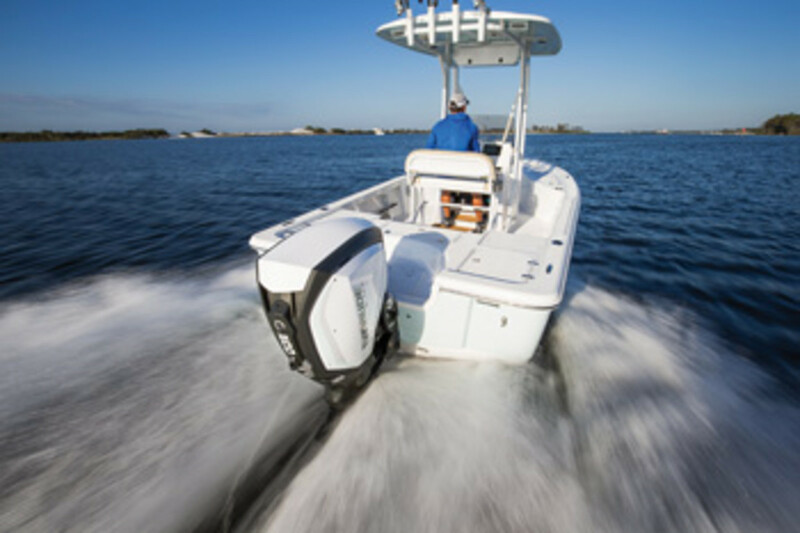 The F90 has Yamaha’s variable trolling technology and an improved alternator output, with 35 amps of power. It’s also compatible with Yamaha’s Talon propellers. 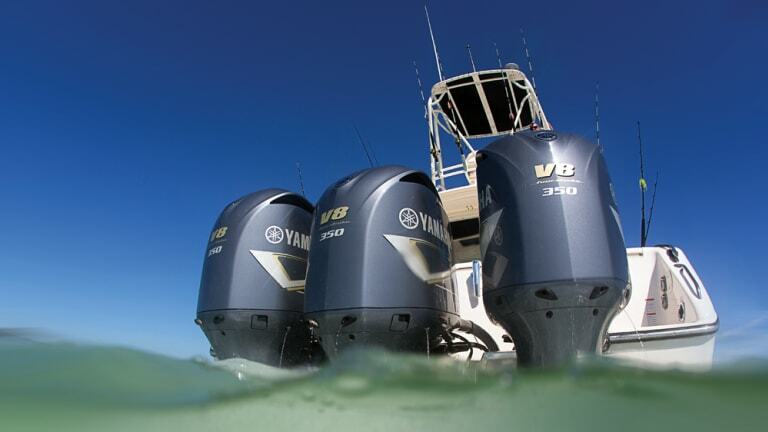 Yamaha last year also upgraded its largest 4-stroke, the 350-hp V-8. The company has made so many improvements to the 5.3-liter engine since its introduction in 2007 that it was time to present them as a package in a next-generation engine, says Meeler. 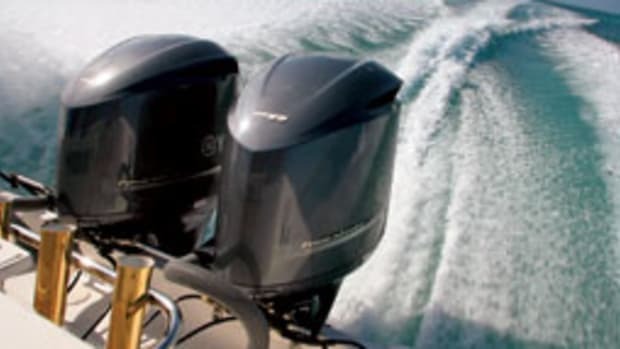 The improvements have made the outboard more durable and easier to maintain. “We have a new engine with a freshened-up look, and we’re covering it with a 5-year warranty,” he says. 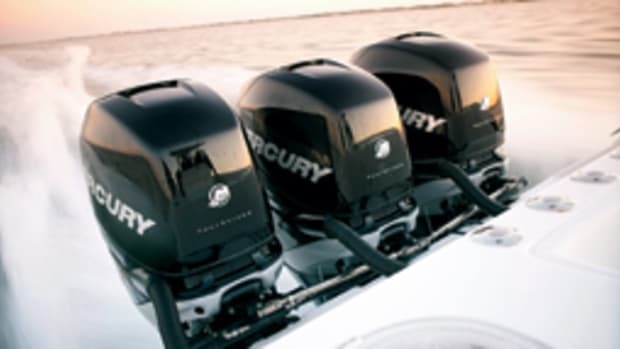 Mercury continues to boost its 350 Verado and Mercury Racing 400R outboards. 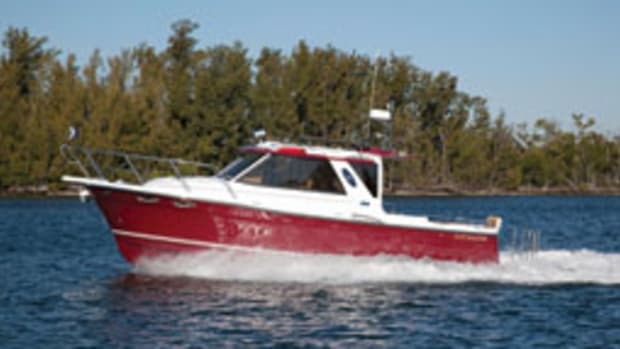 David Foulkes, Brunswick Corp.’s vice president and chief technology officer and vice president of product development, engineering and racing for Mercury, says more than half of the combined total of triple- and quad-engine boats were equipped with these outboards at the 2016 Fort Lauderdale International Boat Show. Last year was a particularly big year for Mercury’s controls and rigging product lines, Foulkes adds. 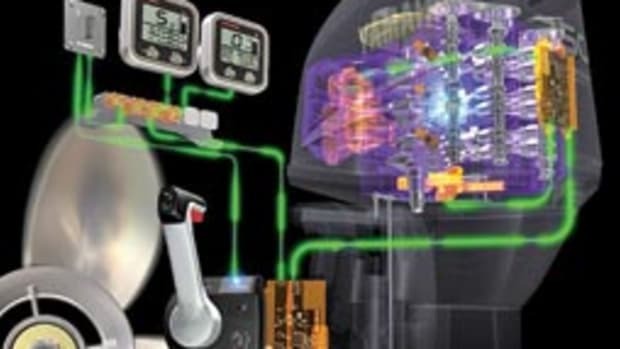 The company introduced a new version of its Joystick Piloting system with more features and enhanced control authority and an award-winning “magneto rheological” steering system. Mercury also launched new versions of its VesselView multifunction displays and VesselView Link, which allows the VesselView user interface to be displayed on glass-dash displays and Lowrance fishfinders. The VesselView mobile app and its companion Bluetooth module allow the app to connect to SmartCraft to access all propulsion system data. In addition to engine data, the app shows fuel consumption, enables planning of maintenance and service, assists with fault diagnosis, displays Mercury dealer locations and interfaces with social media. Evinrude introduced several midrange 2-strokes with its next-generation E-TEC technology. 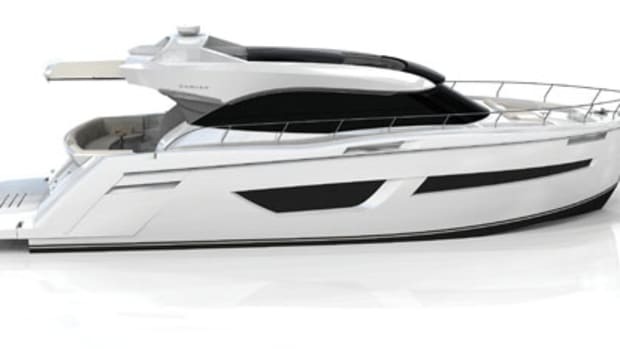 The company launched four models: the G2 150, 150 H.O. (high output), 175 and 200. They join the higher-horsepower G2 models (up to 300 hp) that came out in 2014. Like the DF200AP, the new 150 and 175 operate with digital throttle and shift controls and include Suzuki’s Lean Burn fuel management technology, which delivers improved fuel economy in the midrange, Corbisier says. They also come with the company’s selective rotation capability for either standard or counter-rotation operation. 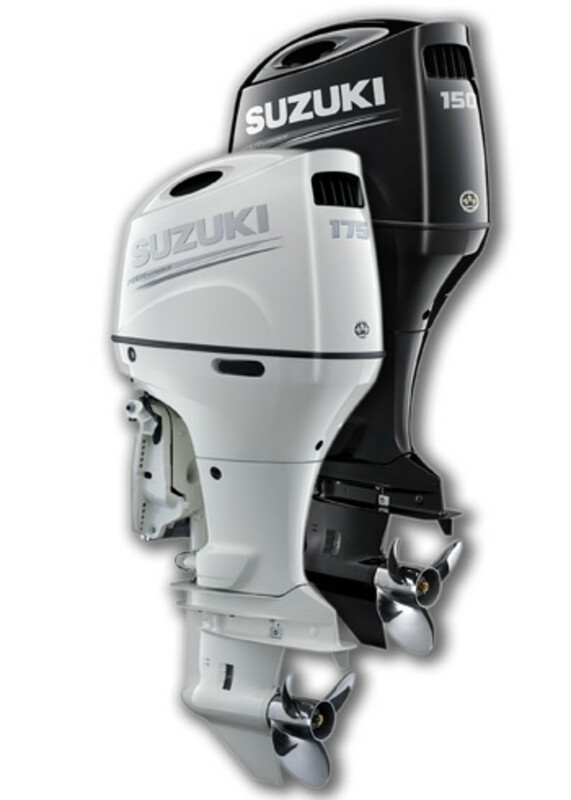 Suzuki offers the DF150AP with a 20-inch shaft, so smaller twin-outboard boats can benefit from the upgrades, says Corbisier. Fly-by-wire digital throttle and shift makes the installation of a second helm station much easier, he adds. Honda has focused on small engines, debuting three 60-pound 4-strokes. The new BF4/5/6 are available with either a 15- or 20-inch shaft. The engines are built with a new internal fuel tank and new motor mounts to run quietly and smoothly while delivering the longest continuous running time, the company says. Cummins continues to promote a streamlined version of its QSB6.7 diesel — the QSB6.7 SL (Slim Line), a less expensive, lighter alternative without certain features. In addition, Cummins last year extended its C Command product line with the release of C Command Connect — a panel system designed for its Quantum Series QSB6.7, QSC8.3, QSL9 and QSM11 engines. This year’s Miami International Boat Show marked a milestone for Volvo Penta as it brought to market the final two products in its fleet of next-generation gasoline sterndrives. 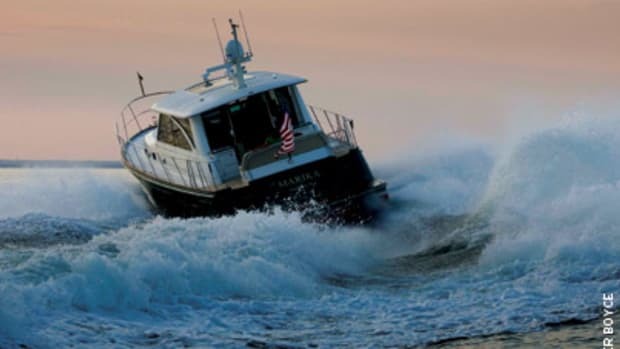 The V8-430 and V8-380 use General Motors Generation V engines and incorporate the same engineering technologies as the other next-gen gas sterndrive engines that Volvo Penta introduced during the past two years. They’re lighter, with all-aluminum construction, faster and more efficient, with direct fuel injection and variable valve timing. “But you have to feel it to believe it,” says Ron Huibers, president of Volvo Penta of the Americas. The V8-380 is 25 percent faster and 11 percent more fuel-efficient at 25 mph than its predecessor, says Huibers. The V8-430 is 15 percent faster and 10 percent more fuel-efficient. Both are 110 pounds lighter than their predecessors, he says. 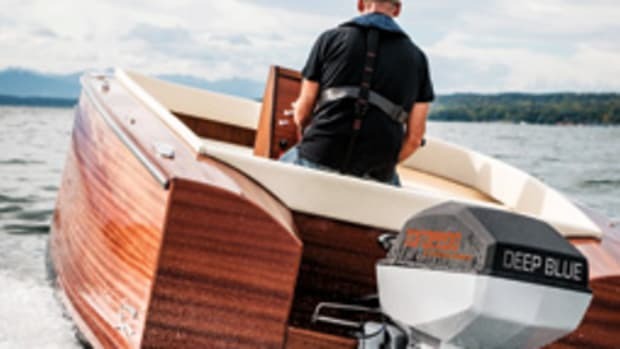 Volvo Penta captured an innovation award last year for its Easy Drain, a gasoline sterndrive raw water engine-draining system that can be activated with a single knob whether the boat is in or out of the water. 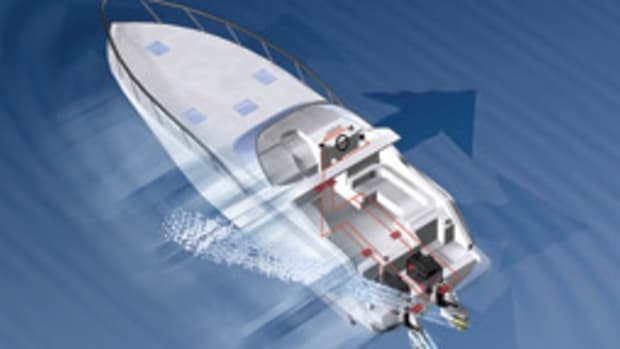 The company also introduced a joystick helm control system — Joystick Inboard — for conventional twin inboard boats, along with another model in its lineup of IPS pod drives. The new IPS links a new pod (IPS 15) and a new diesel, the D8 (offered in 550- and 600-hp models), which is an 8-liter, inline 6-cylinder engine. The IPS700 uses the 550-hp D8, and the IPS800 works with the 600-hp D8. The IPS700/800 bridges the gap between the IPS600 (435 hp) and IPS950 (725 hp) and can be used in twin and triple installations on boats from 45 to 55 feet. Joystick Inboard can be used with all electronically controlled Volvo Penta diesels, from the D3 (150 hp) to the D13 (900 hp), in twin applications. Joystick Inboard uses the engine’s props, electrical steerage of the rudders and a bow thruster to maneuver the boat.